Key Difference: Nursery is a type of preschool for children between the ages of three and five years. It plays an important role in providing education based on a casual and playful manner. Montessori schools are based on the education approach developed by an Italian physician and educator, Maria Montessori. 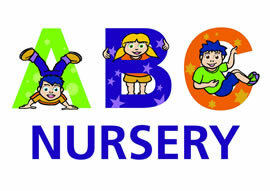 Nursery denotes a type of preschool that has been designed for the children between the ages of three and five years. It provides education in a less formal manner as compared to schools. Children in a nursery are very young, therefore play based techniques are adopted by these educational institutions. These types of schools help in preparing a child to start the formal education in a school. These institutions customize the patterns of study to suit children of this particular age group. Nursery is usually followed by kindergarten. There are various types of nursery preschools; each with some unique features to distinguish it from the others. Montessori defines a method of education especially for young children, which was developed by an Italian physician and educator, Maria Montessori. Her teachings initiated an educational movement which was highly appreciated by everyone. They respect every child as a unique individual. They support children, teachers and parents. They impart moral education to the children. They provide a warm and interesting environment of learning. The classes usually form groups of multi-aged children. Students are also given various responsibilities. Generally, nursery is used to denote a preschool that focuses on children from three to five years of age. Montessori – Developed by educator Maria Montessori. They intend to develop a child’s senses. Waldorf – Based on the teachings of Austrian writer Rudolf Steiner. Teachers need to be Waldorf certified. Reggio Emilia – It encourages exploration and concentrates on the importance of community and self-expression. Public – These are usually funded by the government, thus provide an option for children who cannot afford to go to a private school. Private – They operate as profit educational institutions. The fee is usually higher in comparison to public schools. From Old French nurture meaning "breeding, nursing"
Named after an Italian physician and educator Maria Montessori. They serve as the foundation for academic learning. It assists the child to learn in a less formal and playful manner. Assists in developing social skills of a child. Prepare a child for Kindergarten. Help a child to develop his full and unique potential. No-grades system helps to avoid the unhealthy competition among children. Learning materials assist kids to use and enhance their creativity. Students learn to manage their own community and also develop leadership skills. A child learns to be independent.